Have you suffered a shoulder impingement injury in an accident that wasn’t your fault? Did you know that if another party is liable for your injuries, you can claim shoulder impingement compensation? You can claim damages for your injuries, the price of your shoulder impingement treatment and any income you lost if you had to take time off work for your shoulder impingement recovery. Trust Legal Expert to fight your case for you. We can refer you to the right personal injury solicitor to handle your case, all at no extra cost to you. Call now for your free consultation, to see what your claim is worth. In this case study we are going to look at the case of Mrs C (as we have named her here to protect her privacy), a 38-year-old woman whose life was turned upside down after she suffered a shoulder impingement in a road traffic accident. At the time of the accident, Mrs C worked as a charity fundraiser. Mrs C’s accident occurred when her car was hit by another vehicle from behind, causing a second rebound impact. What Injuries were Sustained During this Case? Mrs C suffered extensive damage to the nerves and was later diagnosed with complex regional pain syndrome. This is a neurological condition which was caused by the secondary impact of the accident. The condition caused her intense chronic pain on her shoulder, arm hand and neck, which included pins and needles, hypersensitivity to touch, being a different temperature and colour to the rest of her body. Despite treatment, these symptoms remained permanent. She also experienced temporary pain in the legs, causing her to rely on crutches for an extended period of time. Overtime Mrs C underwent treatment for her shoulder injury including surgery and arthroscope subacromial decompression and capsular release. Unfortunately, there was little improvement in her condition. Unfortunately, the extent of Mrs C’s injuries meant that she had to leave her job. Although she tried to start a business where she could work from home at her own pace, she found that the chronic pain she suffered was too debilitating, meaning that she was no longer able to work. Mrs C’s entire family were affected by the injury as she had a young family she was no longer able to care for. In the end, her husband had to leave his own job and take on a work from home job to care for her and their children. She also required specialist care, equipment, and appliances to help manage her condition at home. Mrs C’s ordeal traumatic ordeal left her with lasting psychological damage including anxiety and depression. Mrs C’s legal team made multiple allegations against the Defendant, the driver who drove his car into the back of Mrs C’s car, on account of his negligent driving. The Defendant admitted full liability and his insurer had to pay Mrs C damages. Mrs C was awarded personal injury compensation for her shoulder injury and the subsequent consequences to her health and quality of life of over £500,000. Mrs C was compensated for pain suffering and loss of amenity, loss of earnings, future loss of earnings, medical expenses, future medical expenses and the cost of care, equipment, and appliances that Mrs C will need to have at home, amongst other forms of shoulder injury compensation. If you have suffered a shoulder impingement injury, shoulder impingement syndrome, or any sort of related injury you may wish to claim compensation. At Legal Expert, we understand that if you have suffered traumatic injuries with long-lasting effects like Mrs C did, you may have already undergone costly shoulder impingement treatment or lost income during your shoulder impingement recovery time. Therefore you may be reluctant to pay an upfront fee to your personal injury solicitor, if you lack funds, or don’t want the additional stress of taking a financial risk. Therefore we can put you in touch with a no win no fee solicitor. A no win no fee solicitor is a solicitor who will only charge you a fee, if your case if successful. For many shoulder impingement victims, this is a less stressful and more affordable option. Call Legal Expert today to be matched with an expert no win no fee solicitor to handle your case. If you have also suffered a shoulder impingement injury, or shoulder impingement syndrome in an accident that wasn’t your fault then Legal Expert can help you. If you can prove that your injury was caused by another person’s negligence then you can claim compensation for your pain and suffering, shoulder impingement treatment expenses and shoulder impingement recovery expenses if you were forced to take time off work. Trust Legal Expert to match you with the right personal injury solicitor to handle your case. Call 0800 073 8804 today to begin your personal injury claim. 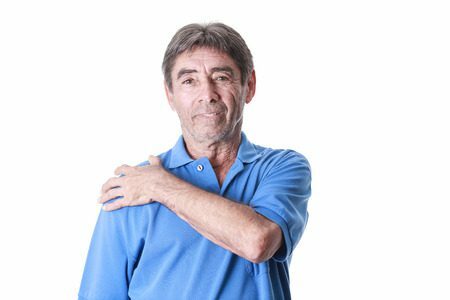 Help and advice for Claimants who have suffered a shoulder injury where someone else was liable. This includes making a shoulder-related personal injury claim. This NHS page has useful information on Shoulder impingement syndrome.